From last few years youngsters are investing more and more on Blu-Ray players to have incredible home theatre experience. In the list of awesome top Blu-Ray players, Sony BDP-S3700 has proven its edge with all impressive features. If you are searching for a player that can offer high standard performance even at reasonable price range then S3700 is recommended for you. It offers excellent picture quality. Highly stable and smooth motion. Comes with built in Wi-Fi capability. Supports up conversion for 1080p so that it can work upon DVDs. 3D ready and compatible with 4K Ultra HD content. Interactive interface for external world connectivity. Sound quality is little disappointing. Slow load time is a big trouble. When we talk about features then S3700 offers impressive details that can satisfy most of the user needs. At back side of this device you will find an Ethernet port, HDMI output and one coaxial output that assist in making direct connections with external sound systems. At front side of device, you will find a USB port that allows easy connectivity to memory sticks and other similar kind of devices. Moving towards the streaming capabilities, you will again find this device useful enough as it allows direct connectivity with Demand 5, YouTube, BBC iPlayer, Amazon Video and Netflix. If you are a dedicated towards PlayStation video usage then it is possible to get compatible app installed directly on your box. One more interesting news is here for you as this device allows users to mirror their smartphone screen to TV directly using Miracast function of player. Thus it becomes much easier to control video as well as music from Android device. Now as this function is not present in other competitors like LG and Panasonic so Sony has an edge over them. If you want to fine tune your image then video noise reduction settings can be applied directly from ‘Mosquito Noise’ feature, it works on edges. Those who want to control noise on broadband range are advised to use ‘Mosaic- like block noise’. This Sony player is capable enough to perform much better as compared to its price tag. It successfully passed the real words and synthetic image tests on DVD as well as Blu-Ray content. Tests were performed with comparison to high end LG 4K OLED device and the results were quite surprising as this Sony device performed equally good. On the other side, if we talk about its playback speed then Sony was not found as fast as its competitors. It took about 24.9 seconds to work with Netflix whereas overall time of 11.26 seconds was taken for starting Mission Impossible III. However, the difference was not much from ratings of LG GP350 but still if you consider speed as your prime concern for performance then it is good to look for Samsun J5900. 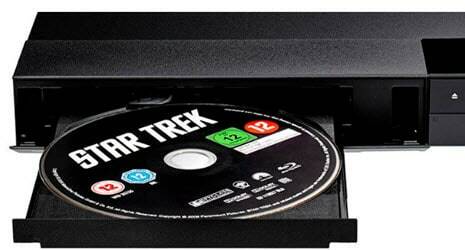 Sony possesses almost all features of popular Blu-Ray players in year 2016 and with the new release of 2017; Sony has worked well on improvements. Picture quality is not the big issue for selection because almost all players below $500 range offer similar kind of performance but the main consideration for selection should be speed as it is going to cause major change in performance. As S3700 is rated as a solid performer over so many features so it can be preferred for home theatre applications. Its combination of smart functions, decent sound and durable design make it stand out against all competing models in market. 12 Best free video players and apps for PC and mobile device.